From March 19th to March 20th we are at PLNOG 20 which is hosted at Double Tree by Hilton in Warsaw. 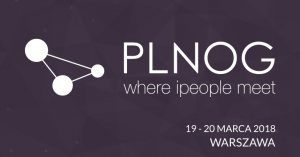 PLNOG (the Polish network operator group) invites all Polish internet service providers, network operators, engineers to come together in one place. This is a great opportunity to not only meet people from FLEXOPTIX.